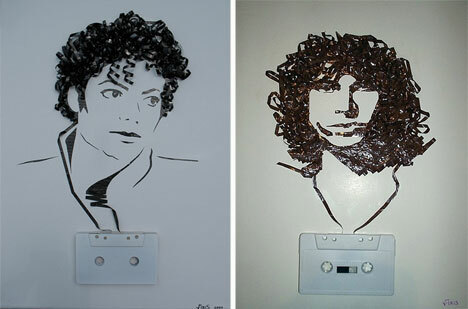 The relationship between art and the medium in which it is created isn’t often as perfectly matched as it is with these cassette tape art pieces. 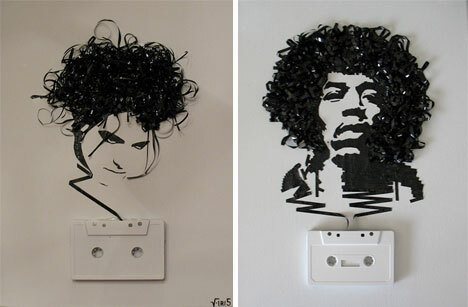 Atlanta-based artist Erika Iris Simmons (better known by her artist’s pseudonym iri5) uses cassette tapes to create soulful portraits of musicians and bands. The series, entitled ”Ghost in the Machine,” is a physical representation of the ephemeral nature of thoughts and creativity. 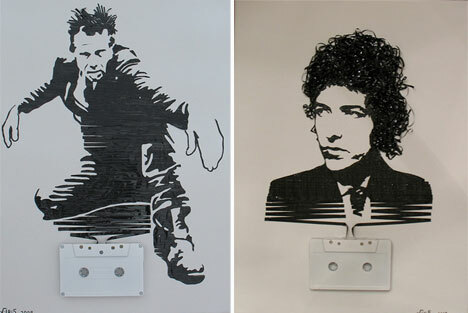 Several generations of musical legends are represented in iri5’s work: Dylan to Kravitz, the Beatles to Nirvana. 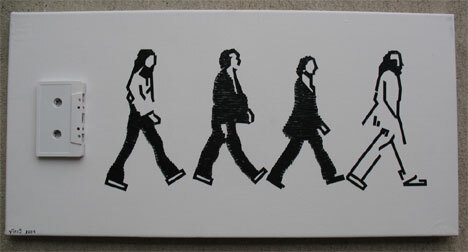 But every artist is given an exceptional amount of care, and every portrait is richly detailed. The unusual medium lends itself surprisingly well to recreating the famous faces, bending and curling and creating lovely textures in all the right places. The title “Ghost in the Machine” comes from Gilbert Ryle, the British philosopher who coined the phrase. Ryle believed that all of nature is a machine; humankind is another, smaller machine containing a “ghost.” That ghost, according to Ryle, is what gives us our creativity. 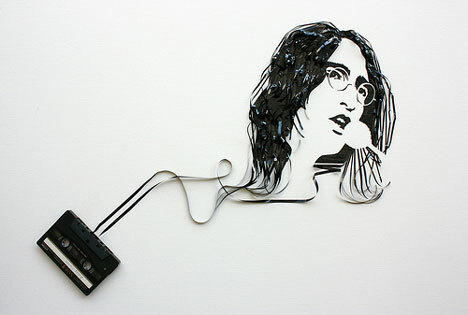 The artist clearly shares the philosopher’s ideas about human thoughts and emotions being contained within our individual “machines.” De-constructed cassette tapes are the perfect medium for expressing this idea: their hard plastic shell hides the light, floaty, difficult-to-control tape that can easily double for the impossible-to-define human spirit. The artist imagines that we are all thoughts wrapped up in awkward packaging, much like the fragile tape inside cassettes. Her entire portfolio is full of art created in unusual materials: trash, donated materials and found objects populate her impressive body of work.